For Ukraine, 2017 was a year of persecutions against journalists. They were not simply barred from publishing or fired in mass, but they were also accused of committing crimes punishable with prison terms, a resident correspondent of the Rossa Primavera Information Agency reports. According to data provided by the experts of The Media Institute, 293 violations of freedom of speech were reported in 2017 in Ukraine. Reportedly, violations were most often associated with attempts to interfere with journalists’ professional work. The kinds of interference included limiting access to public information, threats, and attacks against journalists (over 100 cases) committed by individuals or public officials (82 cases). According to experts, the situation, which is currently critical, will only deteriorate. While in 2016 there were only 3 cases when journalists’ property was damaged during their professional work, in 2017 the number of cases tripled. 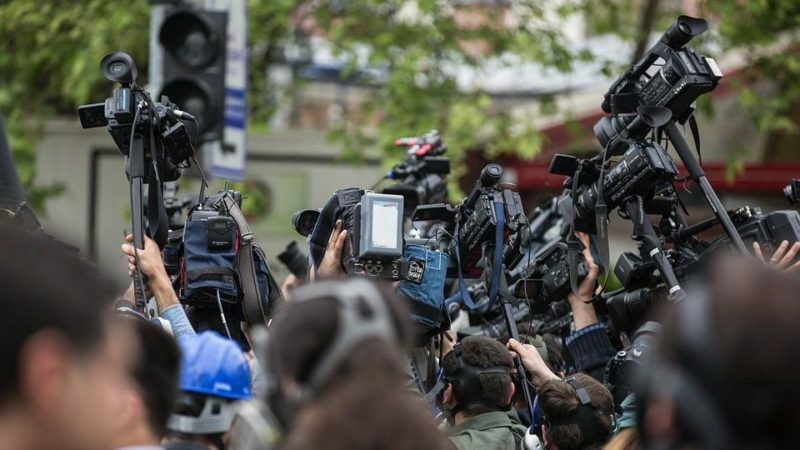 The most unsafe regions for journalists became Kiev, Volyn, Nikolaev, Poltava and Odessa regions. According to The Media Institute, approximately 60 journalists were killed in 2017, but only 10 of these cases are being investigated. One of the high-profile cases is the investigation against Ukraine’s Channel 17 journalists Drimtry Vasilets and Evgeny Timonin accused of aiding terrorists. According to the prosecution and the court, both these media workers visited the Donetsk People’s Republic in 2014 for several days and allegedly provided help in setting up the Novorossiya TV YouTube channel. In fact, the accusation followed their reports from Donetsk and criticism of the Kiev regime, as well as ambiguous statements about the participants of the “Revolution of Dignity” and reports about criminal amber production. On September 28, 2017, the court sentenced both journalists to nine years in prison. Meanwhile, those accused of killing Oles Buzina (a Ukrainian writer and journalist shot to death by unidentified attackers wearing masks on April 16, 2015) were released for partial house arrest or on their own recognizance, or even unconditionally. According to the journalists themselves, they wanted to reconcile the warring parties in Ukraine by reporting the true situation and preventing lies in media rather than using arms. “However, this is how it now happens here in Ukraine: if you criticize the authorities, do not support the ATO [Anti-Terrorist Operations, the Kiev junta’s name for the punitive operation in Donbass ― Rossa Primavera Information Agency], oppose oligarchs in fact rather than in word, and refuse to support the regime, then you must be imprisoned and exchanged under the pressure by the SBU [the Ukrainian security service ― Rossa Primavera Information Agency],” Dmitry Vasilets said in an interview to Strana, a Ukrainian outlet. Vasilets and Timonin believe that their sentence was motivated by the authorities’ desire to remove those who impede escalating the hostilities in Donbass. Another colleague of Vasilets, Vasily Muravitsky, who was arrested on August 2, 2017, spent the New Year holiday in prison. His charges are more serious: he is accused not only of terrorism but also of high treason and incitement of ethnic hatred. Therefore, his sentence is more severe: 15 years in prison. The Ukrainian National Journalists Union has called this proceeding “a judgment against beliefs and statements, against journalism”. International human rights organizations such as Committee to Protect Journalists (USA), Reporters Without Borders (RSF) etc. have repeatedly called to release Muravitsky. It is important that the charge against Muravitsky does not only contradict international precedents, but it also violates Ukrainian law, which prohibits censorship. Also, this charge violates international agreements such as the European Convention on Human Rights and the International Covenant on Civil and Political Rights. However, an important clarification here is that, especially for ruthless trials like this, Ukraine has temporarily rejected a number of provisions of the Convention and the Covenant, allegedly because of the ATO. Nevertheless, the protests of international human rights activists and Muravitsky’s compatriots have not been successful so far. The journalist remains in a detention facility, which means that he is apparently perceived as dangerous. In the past year, 65 journalists were killed, 326 were arrested, 54 remain hostages, and 2 are missing in the world. However, as compared to 2016, the number of journalists killed in 2017 is 18% lower. As for the Russian Federation, 1 journalist was killed, and 6 are in prison, including one blogger. This entry was posted in News from Russia and tagged Freedom of Speech, Informational-Psychological War, Russia, Ukraine. Bookmark the permalink.